One intern's experience starting work on real-world projects, and finding out that debugging work as a Junior Dev is rarely about writing code, but more about researching and reproducing issues. Chrome Extensions can simplify your life in and out of the office. The right extensions can help you manage your social media, check your grammar, or give you a heads up when that game you’ve been searching for comes up on Craigslist. Here are our team's favorite Chrome extensions for development, marketing, and the whole world beyond the workplace. Do you use Google Drive for your everyday documents and spreadsheets? Wish you could just have a template for those files (instead of opening an old file and creating a copy)? Well, now you can (again). Google recently announced they were bringing back team Google Drive templates. This post walks you through how to take advantage of that feature. An old friend of mine, Geoffrey Grosenbach, shares thoughts on why thinking like a developer could be a good thing...even if you're not...a developer. Don't discourage jargon use in your domain. Embrace it. Teach it. Invent it. Help your users learn it and find chances to use it. For years, I have been convincing myself that we need to speak in non-industry terms with our clients so that we don't alienate them. Now I am left wondering if we've just created a new problem. There isn't a week that goes by that I don't wonder if I would have been able to help build a company like Planet Argon in another city. There's something in the water here. Earlier this year, I had the good fortune of seeing Aaron Draplin of Draplin Design Co. speak at TEDxPortland. This short documentary series that Vans put together captures him in his element. Totally worth your time to watch these. 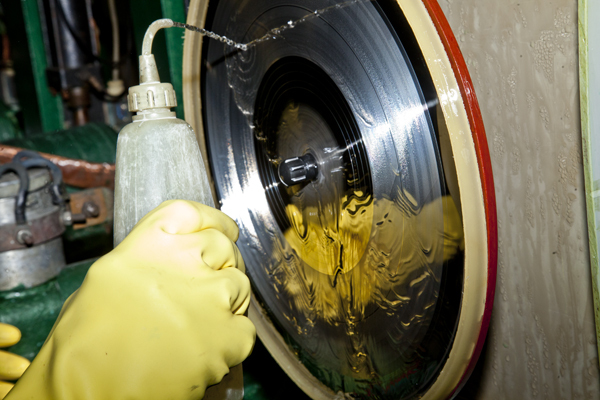 How are vinyl records pressed? As a vinyl collector (can you smell my elitism? ), I really enjoyed learning more about the process. If only Mr. Rogers were able to narrate it for me. Colby Aley, another talented 17 year old engineering intern in high school. "When I first landed in Portland — way back in November — one of the first events I went to was Startup Weekend. One of the first people I met was Cloudability CEO Mat Ellis. He immediately turned and introduced me to Colby Aley, one of his engineers, and told me that Aley is among the best developers in town."